Professor Poulton is Associate Dean for eLearning and Head of the eLearning Unit. Formerly a Reader in Immunology, he switched careers to medical education in 2004, specialising in eLearning and particularly Scenario-Based Learning. He has been project director for 24 national and international grants obtained with the eLearning Unit, totalling over £6.5M. Terry is a Senior Research Associate at Karolinska Institutet and Executive member of MedBiquitous Global Healthcare Standards organization at Johns Hopkins. He is responsible for 5 current EC-funded projects, with over 25 partners across Western and Eastern Europe, Australia, USA, Canada and Asia. With the eLU team, he has received several national and international awards. Trupti Jivram is the eLearning Manager for the eLearning Unit. PRINCE2 practitioner and the project manager for various curriculum projects, including the EC Erasmus + TAME project and formally the Tempus funded ‘ePBLnet’ project and the Generation 4 (G4) project. She is also responsible for additional online learning resources available to students to aid their learning, the interactive online PBL cases. She previously managed the institutional VLE ‘Moodle’, the implementation of the e-Portfolio within the institution and the SGUL franchised MBBS graduate entry programme in Cyprus. Trupti started work with the unit in 2003, her background in biosciences has proved extremely useful in giving a broad understanding of basic and clinical science teaching in medicine and healthcare. Sheetal Kavia is the eProjects Manager within the eLearning Unit. She has been involved in a vast array of work since 2005. She started off primarily working on resource creation, VLE support, and training staff on e-learning tools. Her work then focused on innovations in medical education with the use of Virtual Patient scenarios for different learning platforms and settings. One of the projects she was involved in was the JISC funded, Time Higher Education 2009 and e-learning 2010 award winning PREVIEW Project and a national project called G4.5. She managed the SGUL app centre which produced 5 medical apps over 2 years and more recently is focused on international projects such and ePBLnet and is currently managing the WAVES; and the development of Massive Open Online Courses (MOOC). Luke Woodham is the eLearning Technical innovations Manager in the eLearning Unit. His work is mostly based around Virtual Patients, technical implementation and evaluating educational impact. He developed the evaluation strategies for the EC-funded projects ePBLNet and TAME, key component of his research interests, and has also been involved with the JISC-funded PREVIEW project to take Virtual Patients into Second Life and the EC-funded projects eViP, mEducator, MEDCIN and WAVES. He is an invited member of the Technical Steering Committee at MedBiquitous and was a member of the working group that developed the ANSI/MEDBIQ VP.10.1-2010, MedBiquitous Virtual Patient standard. His work also includes a leading role in the development of the MOOC courses. Supriya Krishnan is a Learning Technologist within the eLearning Unit. She has been involved in a variety of work primarily development of learning resources for e-Learning platforms. She was actively involved in creating, developing and implementing SGUL’s MedEdCases app that allows users to play Virtual Patients (VPs) on mobile devices. She was involved in many internal and external projects, particularly JISC funded G4.5, where Ethics VPs were trialled and evaluated. Currently, she undertakes and maintains the smooth running of PBL delivery system, OpenLabyrinth along with preparation of PBL cases for Transitional (T) year students at SGUL and UNIC. She is also actively involved in Erasmus+ funded WAVES project that focuses on making Scenario-based learning (SBL) more accessible for a wide range of professions. Dr. Ella Iskrenko-Poulton is a consultant in educational development and Problem-Based Learning Tutor-Trainer. Ella has been working as a university teacher for 30 years, has an extensive background in teaching and the organization of teaching, with a history of innovation in a variety of teaching style from large didactic lecture formats to small group PBL tutorials. She has participated in 5 EC grants in the fields of education and training, was PBL consultant and tutor trainer in EC TEMPUS funded ePBLnet project, EC Erasmus + funded CROESUS project, EC ERASMUS + TAME project. Ella has a nine years’ experience in working with interactive VP cases in UK and training tutors in Czech Republic, Slovakia, Vietnam, Kazakhstan, Ukraine, Georgia. Her research interests recently have focused on student behavior and performance in the use of interactive PBL and scenario based learning in Medicine and Healthcare. 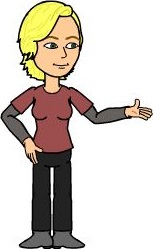 Fiona Howat is an eLearning Developer within the eLearning Unit. Dominique Spence-Polin is eProjects Support Officer within the eLearning Unit. Dominique is the newest member to the eLearning team. She has been working on the financial and organisational side of eLearning projects including the European Commission, Erasmus + funded projects WAVES and TAME. Along with supporting the team on other smaller projects like MOOCs (Massive Open Online Courses) and The EFFIP (E-support for Families and Friends of Individuals affected by Psychosis). Dominique’s background has been in client engagement and events, where she has worked with a number of international clients to deliver ground breaking conferences and networking events. She has also worked on an array of systems to build website and mobile apps. Creating captivating online content to engage a variety of audiences. Sam McInerney is a Technical Developer in the E-Learning Unit team. Sam is a graduate of the medicine programme at St George’s, and is a practicing SHO doctor at the Brighton Royal Sussex Hospital. As well as medicine, Sam has a background in computer science and experience with large and small scale programming environments. He has a wide range of coding skills including the use of multiple programming languages, database programming and scripting. Sam is currently working on the WAVES “Widening Access to Virtual Education Scenarios” project, exploring the technical side of virtual education and developing with cutting edge learning tool technologies such as xAPI, H5P, and experimenting with the evolving LRS (learning record store) platforms that provide in depth analytics on users learning habits. Jonathan joined SGUL as Senior Lecturer in Paediatrics and Consultant in Paediatric Intensive Care in 2002. He became a Reader in Clinical Education in 2011, served as Children’s Clinical Director 2012-2015, became a Training Programme Director in 2011 and was appointed as Director of Medical Education in 2015. Aside from clinical work and teaching, Jonathan has published widely and authored an award winning book. With the eLU he has developed educationally useful technologies and authored a large number of virtual patients (VPs). He has worked on most of the eLU projects, including eVIP, ReViP, CROESUS, G4 and TAME, functioning as either a case writer, subject matter expert, teacher or consultant. His research is in medical error, virtual patients and their use in education. Kavirthana Krishnamoorthy is a placement student within the eLearning Unit.